Tech Info | Stable Operation | PCS (Punch Cooling System) | Sakamura Machine Co.,Ltd. Sakamura Machine Company is the manufacturer of horizontal multi-station forging machines known as formers. On hot formers, it is necessary for the punch to be sprayed evenly with cooling water. 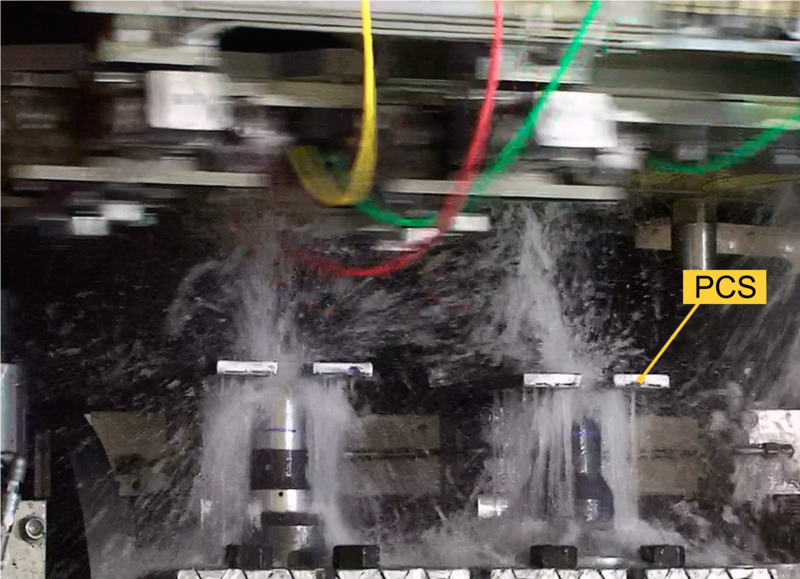 With the PCS, coolant water is applied to the punch from the front. This allows for the entire punch to be cooled evenly, and a longer tooling life can be expected. The operation of the PCS uses the movement of the ram, making it an extremely simple system. In addition, not only is this system used to cool the punch, but it also functions as a punch sensor to prevent double hitting. We will respond to your requests by using remote access from a computer! Copyright © 2019Sakamura Machine Co.,Ltd. All rights reserved.